What a lovely way to celebrate the arrival of your first grandson – and in a great vintage too! This village Meursault comes from the top part of the Meursault vineyards where the soil is rocky and steep. Never great fans of oak, the domain has chosen to vinify this wine entirely in stainless steel and it is wonderful to see the acidity and the fresh structure of the climat shine through the ripe, fruity Chardonnay flavours. A tiny cuvée for those who like their Meursaults as natural and pure as they can get. On the finish there is a richness that comes through due to the fact that they wine was aged on its lees and bottled without fining. Laurent Martelet had a difficult start to the 2016 growing season with frost in April followed by mildew and then summer drought. In spite of these challenges, the wine is very balanced and fresh, perhaps reflecting the advantage of higher altitude vineyards in the time of climate change. There is lovely Chardonnay fruit that is rich and tightly packed without being heavy and there are notes of hawthorn blossom, a touch of citrus and some minerality on the palate. This a pretty wine with good balance and length. This wine benefitted from the lovely summer weather since the vineyard forms an amphitheatre where the sun’s rays are trapped in a small basin of warmth. This is a generous, velvety vintage with lots of body and a touch of sweetness in the nose. On the palate, there are aromas of almond and minerals balanced by a persistent liveliness. In spite of its richness, this is an elegant wine. One senses the effect of the altitude on this very precise, structured, mineral wine – the generosity of the fruit flavours is balanced by the intensity of the old vines in this magnificent terroir. There is lots of power and length in this wine. Although it is already delicious to drink, it would be a pity not to wait a few more years to drink this when the development of the secondary aromas will add depth and a earthier backdrop to the exuberant fruit. 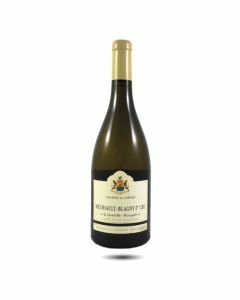 For the moment, it is the limestone soils of Blagny more than the orchard fruit flavours of the Chardonnay grape that are most expressive in this fine, complex and exciting wine. With time, the quite tight structure will open up to reveal nuances of pear and quince, fresh, crunchy acidity and in the finish, a rich, generous impression of ripe fruit. The Chérisey Meursault-Blagny 1er Cru La Genelotte comes from a monopole vineyard just north of Blagny on the slope overlooking the village. The 2011 has a pale yellow colour and expressive aromas of spice, almonds, grassy pastures and elderflower blossom. This is a lovely Meursault with lots of character. This is a magical part of the Côtes de Beaune, a lost hamlet, high up above the village of Meursault ; premier cru vineyards that are on average 60 years old ; lots of limestone rocks in the soils and lots of freshness and minerality in the wines and finally a great winemaker called Laurent Martelet. 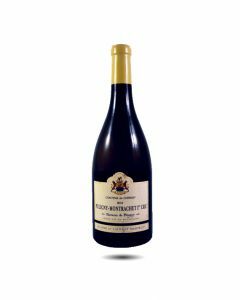 That Blagny is less well-known is a great advantage to wine lovers and sommeliers as the price of these wines is reasonable considering the quality. Round and fruity in the nose with citrus notes mixed with spring flowers, the palate is full yet with great freshness ; on the finish there are notes of pears, grilled hazelnuts and butter. This is a white wine that can age well for at least five years after the vintage. Perched up on the hillside amongst the premier crus, the altitude was a wonderful mitigating factor to the rich vintage of 2015. There is more acidity and tension here than in many 2015 white Burgundies and the Chardonnay is more citrus than orchard flavoured with notes of verbena, orange peel and some white pepper. Laurent Martelet made the 2015 vintage in a very controlled way not wanting to overdo the ripe character and the result is a very fine,well balanced wine which will drink beautifully over the next five years. Another small village Meursault next to the Genelotte vineyard, literally meaning “the vineyard parcel under the woods”. The rocky soil, the cool climate and shade mean that the fruit in this wine is more orchard fruit (apples and pears) than exotic (mango and pineapple). There is good tension here and finely grained tannins making this a pure, pretty Meursault for those who like their white wines pure and fruity rather than rich and oaky.